Today there’s minimal work going here at By Hand HQ as we celebrate Charlotte’s 28th birthday! It’s not even midday and we’re already feeling a distinct sugar slump after having eaten an entire chocolate brownie cake for breakfast… Leaves for lunch and an afternoon of gentle DIYing, methinks! To make Charlotte’s wheat, gluten and dairy-free chocolate brownie cake, see Elisalex’s personal blog for the recipe – just replace the regular self-raising flour with a wheat and gluten free blend (we like Doves Farm flours) and bake in a small round cake tin instead of cupcake cases for 20 mins at 170 degrees. 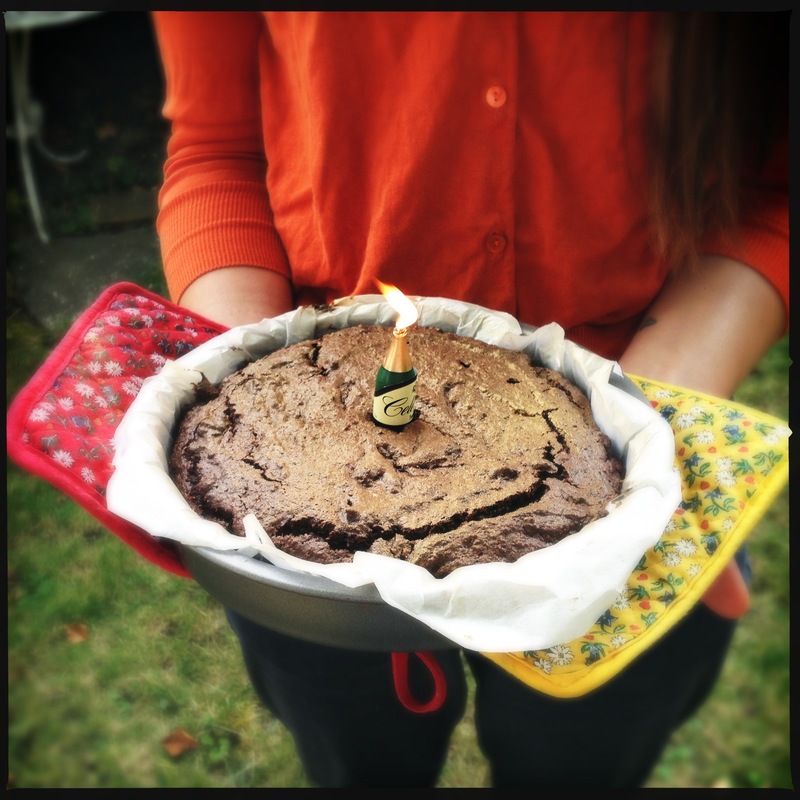 This entry was posted on September 20, 2012 by byhandlondon in By Hand Birthday, Recipe and tagged birthday.